Sagittarius is a deep, complicated sign, with a mixture of instinct and reason always searching for wisdom. The combination of mutability and fire makes this sign unstable; its plans are often dropped before completion. 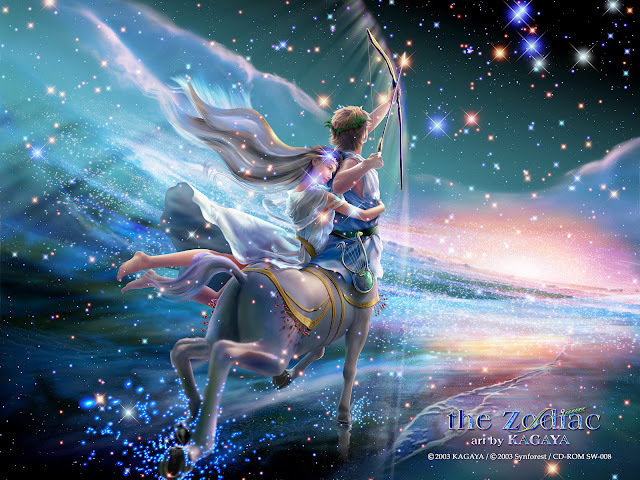 Often possessed by wanderlust, idealism and the search for truth, Sagittarius needs freedom. The sign’s greatest strength is optimism and enthusiasm and its weakness is impracticality. However when their faith is strong, Sagittarians get along well with little material success. Moon in Sagittarius: This is the best time to work on magick for publications, legal matters, travel, and truth. Healing rituals for ailments of the liver, thighs or hips are also done at this time.